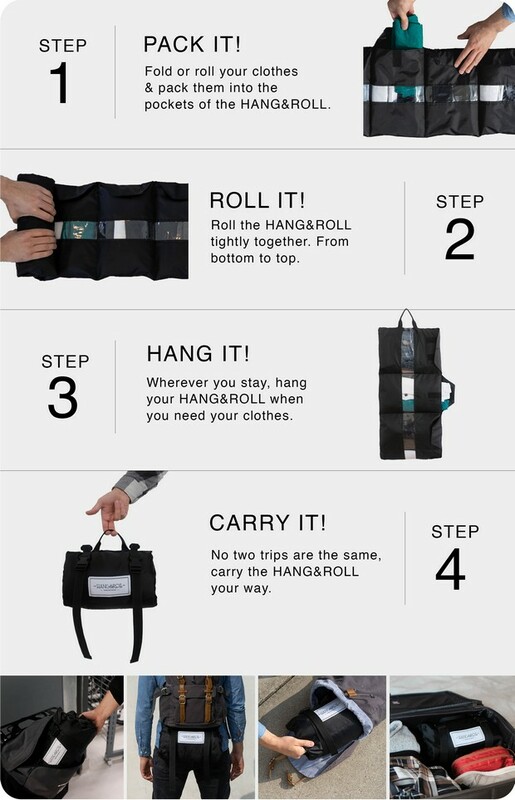 The Hang&Roll 2.0 is an updated and much improved version of the H&R travel organizer, our first Crowdfunding campaign. 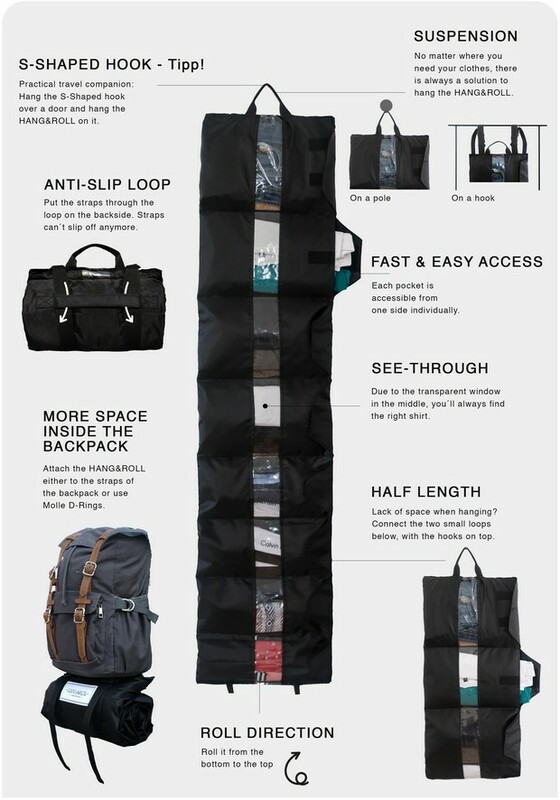 A unique travel organizer that can be used for every type of travel and occasion. This bag will easily store all your clothes inside different pockets and help you keep them like that during your whole trip. In your backpack, suitcase, motorhome, bicycle or motorcycle…YOU NAME IT! New features are: Hooks to easily attach the Hang&Roll under your backpack. Individually accessible pockets and one pocket for bigger clothes, like jeans. An extra handle to carry and hold the Hang&Roll much easier and last but not least the option of using it on both sides, but only half the length. There are 8 pockets in total. At the top: 1 extra big pocket, 3 big ones and at the bottom: 4 smaller ones. The biggest pocket: 25cm x 33cm. The bigger pockets: 20cm x 33cm. 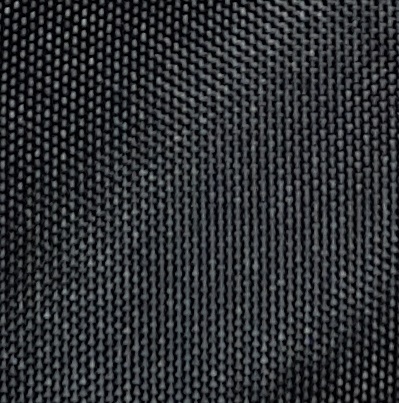 The smaller pockets: 15cm x 33cm. Folded together the Hang&Roll only takes 33x20cm. 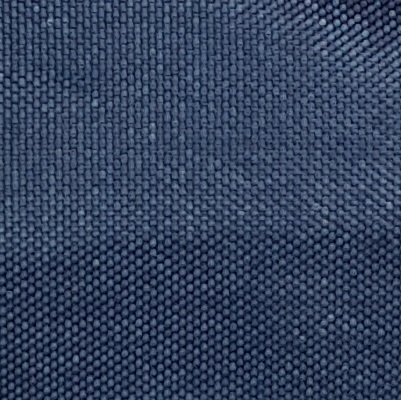 The Hang&Roll is made out of high-quality fabric. It is sturdy for everyday travel and water-resistant. All in all the Travel Organizer weights around 330g. How many clothes fit inside? The final size of each Hang&Roll depends on how much you put in each compartment. It's safe to say that you manage to pack easily for one week. In 3 big pockets: 6 to 9 T-Shirts. In the biggest pocket: A Jeans. Which colours do we have? Depending on your location from 1 - 14 days. Discover our different Payment Options. Choose the most comfortable CHeck-Out option. We want our customers happy. Backed against defects and failures under normal use. Checkout Payment badge The DRYBAG, made out of premium 100% waterproof fabric is the perfect fitting the for HANG&ROLL. The Drybag can also be used on this own. It works perfectly as a carry bag. If you have an item that needs water protection or takes too much space inside the backpack, f.e. big sweater, pair of shoes or a big towel for the beach. Just throw it inside and take it with you!